17 January 2015, in Britain and elsewhere. Get out there and try something new! Disabled Access Day is all about getting out and visiting a venue that you’ve never been to before - whether a cinema, coffee shop, sports centre or anywhere else. The event is led by Euan's Guide (Scotland) and is supported by National Tourist Boards, disability organisations, ENAT and others. "This will be the very first Disabled Access Day and hopefully will be the first of many - so please get involved and start a new tradition! I’m taking part - what next? If you tell us you’re taking part we’ll make sure we keep you updated with the latest news... And will even send you something nearer the time too... Venues - this includes you! We’re a group of disabled people and family and friends in Scotland. Amongst us are the Euan’s Guide team who we are pleased to be sponsoring the event. Oh yes. Definitely! This is a big undertaking and we need all the help we can get. Please do get involved." 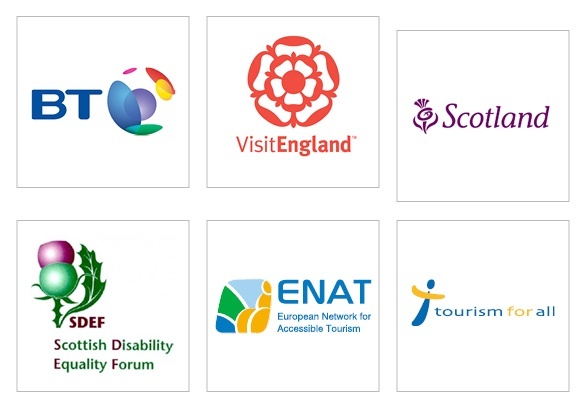 As one of the Day's supporters, ENAT is encouraging its members and subscribers throughout Europe and the World to join in Disabled Access Day on Saturday 17 January 2015. Businesses and tourist attractions can make an extra effort to welcome disabled guests - put on special events, give a discount for Disabled Access Day and show what you can do for visitors with disabilities. Schools, colleges, universities, workplaces and public services can invite disabled people to Open Days and tours. Families, friends and individuals can use the day as a way to celebrate the good things in life by going out together. ... the possibilities are endless. Let us make the 1st Disabled Access Day a roaring success!